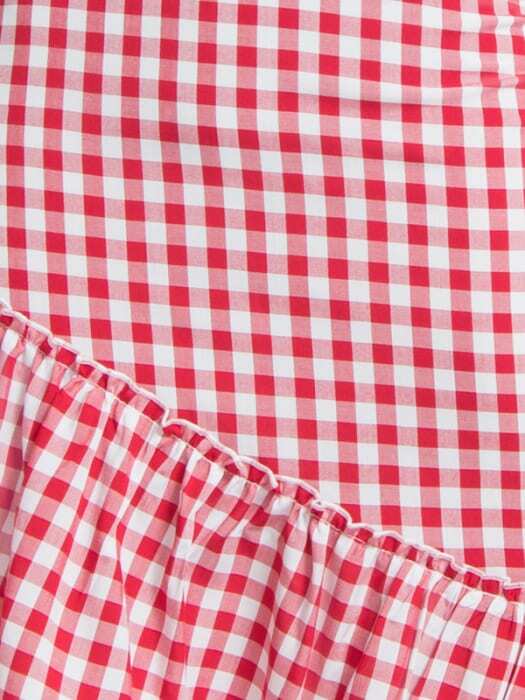 The gingham trend’s showing no signs of slowing! 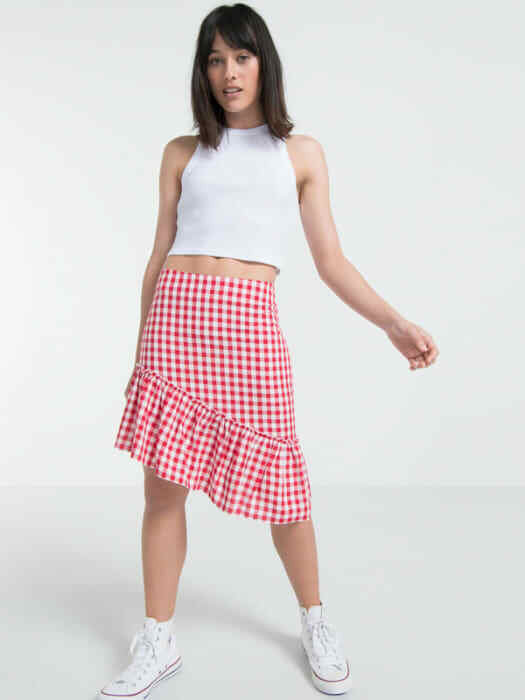 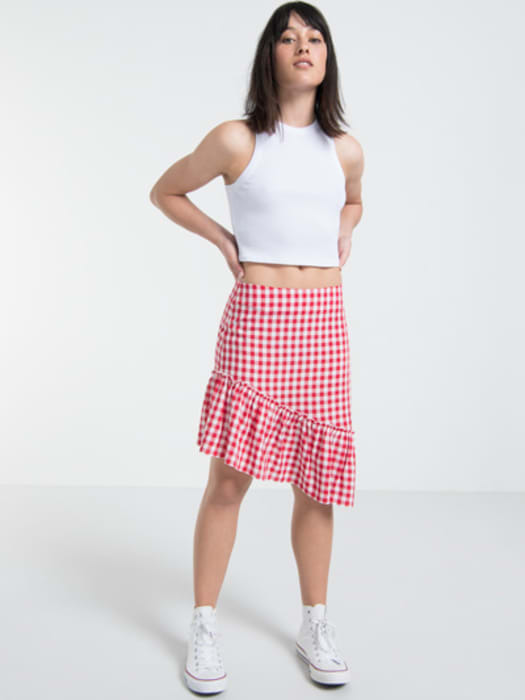 So make it your own with this red and white Check Mini Skirt, in an asymmetric cut with trending frill detail. 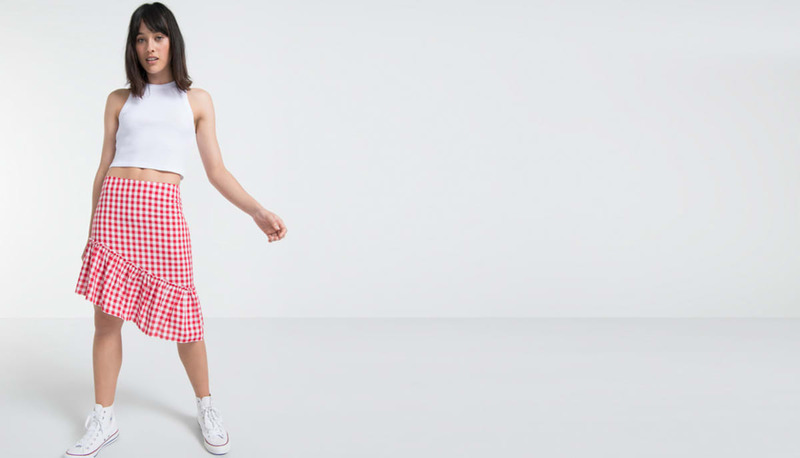 Sitting high on the waist, work it with a crop top and cons for easy summer-styling.